Every year since its inception i’ve done a “Qualifying Offer” wrap-up post (henceforth referred to as QO), as a way to provide some analysis of this salary-limiting vehicle that was such a major point of negotiations in the latest CBA. It has been markedly changed for the coming years, changed in a way that favors the players and penalizes the smaller market teams “less” than the larger market teams. Here’s a link to my full QO worksheet, with more fields, more contract details and a history of all QO players dating to 2012. 5 of the 10 players ended up re-signing with their old team. 2 of the 10 players took the QO that was offered and will play on a one-year, $17.2M deal in 2017. Just 3 of the 10 signed with other teams and cost those teams a draft pick. 11 of the 20 cost teams draft picks. 5 of the 10 ended up taking a lesser AAV on their next contract than the $17.2M one-year deal on the table when they were offered the QO. However, only 2 of the 10 I’d say were “screwed” by the QO: Jose Bautista and Mark Trumbo. Bautista kind of mis-read the FA landscape and declined multi year deals before scurrying back to Toronto on a one-year $18M deal that probably was a “saving face” contract from Toronto to one of its best stars. Trumbo was the last man standing and took nearly $5M less in AAV to sign a 3 year extension; the modern game just does not rate aging sluggers with 30% whiff rates who are defensively limited. Ian Desmond, as has been frequently reported, took the most inexplicable contract of the past few years, but despite taking more than $3M/year less in AAV than the QO you cannot say that his new contract is anything but a win for him and his family. $70M guaranteed drastically shortchanges what he allegedly turned down from the Nats (and, boy did the Nats dodge a bullet by not committing to Desmond for 7 years). I kinda couldn’t believe that Philly extended the QO to Jeremy Hellickson. Maybe they’ll flip him at the deadline for prospects. The teams who offered QOs to players this year reads like a list of the major market teams: Chicago, New York, Los Angeles, Toronto, Texas, Philadelphia and Baltimore. Among those teams only Baltimore is not immediately considered a major market team … but they should be (they were the #1 payroll team in the majors in the 1990s; the were the Yankees before the Yankees became the Yankees). The 3 teams who forfeited 1st round picks: Colorado, Cleveland and St. Louis. All three smaller market teams. The 3 teams who gained add’l picks: Chicago Cubs, Toronto and Texas. All three major market teams. The last two statements together perfectly encapsulate why this system no longer worked. I’m glad to see its impact lessened, and I’m sure the players are too. They gave up way too much in the CBA negotiations to secure it, but that’s a problem for the next CBA. ESPN’s Jayson Stark posted some of what he’s hearing in the new Collective Bargaining Agreement (CBA), struck late on 11/30/16 so as to beat the 12/1 deadline. And so far, I like what the two sides have agreed upon. Post-publishing update: Craig Calcaterra also posted a reaction and listed other new items in the CBA that Stark didn’t have; i’ll tack them on as we find them out to this post. Luxury Tax increases: this is as close as the league has to a “salary cap” and it has served more or less as one, as we’ve seen the historically profligate Yankees curb their spending recently so as to get under the tax. That hasn’t stopped the Dodgers from spending $250M-$300M, but even that will come under fire due to a newly discovered “debt ratio” issue. Nonetheless, an increase of the tax is favorable to the players. 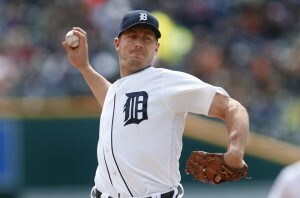 Elimination Modificatino of the Qualifying Offer: thank goodness! Finally no more ridiculous QO system, which has done nothing to help small market teams and had the effect basically of destroying the markets of a few key players over the years (Ian Desmond, Kendrys Morales, etc). Instead, only teams above the luxury tax will lose picks (good) and teams losing players will still get draft pick compensation (good). Details still coming out but the picks that are in jeopardy seem to be non 1st round picks, which means teams won’t be as beholden to them, helping out the players and preventing some of the QO-attached nightmare situations we’ve seen. No more Home field advantage determined by the All Star Game: finally. The elimination of perhaps the dumbest thing Baseball has done in the last 30 years. Banning of Smokeless tobacco: Really, why is this an issue? I don’t get it; are they banning cigarettes too? This seems like a petty restriction on what adults do to their bodies that has no bearing on the game. I guess its all about optics. Slight lengthening of the regular season: gives a few extra days off here and there. We’re already playing the world Series into November, what’s a few more days? More day games on getaway days: Like this; I wish there were more day games. Why are nearly all of Washington’s Saturday games night games? Families with small children are basically shut out of 6/7ths of the team’s games because of this. Minimum Salary Increases: probably only fair, as we learn more and more about how little some guys get paid versus what they accomplish on the field in the modern day economics. Revenue Sharing issues: details yet to emerge, but we do know that Oakland was specifically mentioned as losing their revenue sharing. This seems odd to me; why single out Oakland and not other teams that seem to be abusing the system as well (ahem, Miami)? I wonder if this leads to a change of ownership in Oakland, a change of direction, a more forceful attempt to relocate, etc. Increased Drug Testing to include HGH; this was probably inevitable, as both sides support cleaning up the game for separate reasons. Who is against drug testing? Domestic Violence Policy: this was bound to be included too, given the spate of DV issues we’ve seen in the last year among prominent athletes. Only comment here is … why just DV? Why not have a blanket policy for all sorts of infractions? DUIs, assults, etc? Minimum Disabled List Stay Reduced From 15 to 10 Days: I like this rule in that it seems that many injuries are either hidden or just buried thanks to the 15-day limit. A shorter limit should help get players back faster. Changes to the Rule 4 Draft: changes coming, maybe more slotting dollars, perhaps even trading of draft picks. This would be great. Regular Season Games outside US: like in London. Why not? Service-time rules: Probably in response to the Kris Bryant-like burying of players for 2 weeks in April, or related to the Super-2. But the problem with any hard deadline is this: no matter when you put the deadline, there’s always a way to delay to get around it. I like Keith Law‘s proposals that basically give teams an extra year of “restricted free agency” instead of dealing with service time manipulations. MLB expansion: we havn’t talked about expansion here in a while. I posted in July 2015 asking why people thought Montreal was still a viable expansion market, but the last time I really analyzed expansion was in July of 2011, when I postulated that it may be easier logistically to expand from 30->32 instead of realigning the leagues to have 15 & 15 and have interleague every day. At the time I postulated that Portland and San Antonio would make sense as expansion markets, and it was super-fun doing realignment scenarios with 8 divisions and 2 new teams, but the issues facing expansion detailed in that July 2011 post are significant and remain (basically TV contracts and market viability). I remain pessimistic that there’s any shot of expanding baseball unless you eliminate anti-trust exemption and get rid of the RSN TV market lockdowns that exist currently. Replay: hopefully they can make it faster, smarter. The current system is just dumb; close play on the field, manager sends someone to the clubhouse to decide if they’re challenging … it all takes too much time. Pace of game: hopefully this includes a two-batter minimum for relievers. We’ll see. Ways to discourage tanking: not sure how you fix this. The discrepancy between free agent salaries and pre-arb prices is so amazingly large that it makes more sense to just bottom out and start over rather than attempt to re-tool. No International Draft: I think this is a win for the game, but the fact that the owners pushed for it is a concern for the next CBA. I still don’t understand why owners can’t see the forest for the trees; if they implement an international draft so as to save a few million dollars of bonus money, they risk losing entire countries of development for players. Its so shortsighted. I hope the players continue to fight against it. 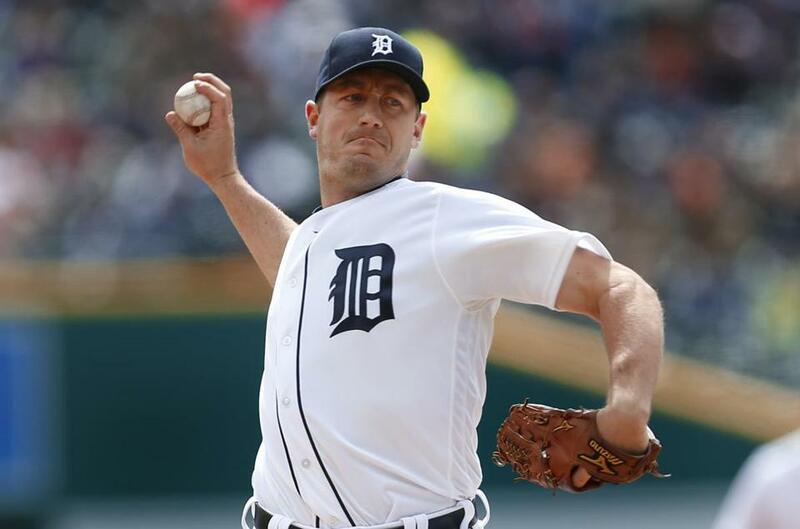 Roster Expansion: lots of talk of a 26th player, but that would have flied in the face of the Pace of Game changes that we hope to see; we want to see fewer relievers, not more. Limitations on 9/1 Roster Expansion: I’d like to see some sort of game-day limit of active players instead of having unbalanced rosters; why would the Nats on Sept 15th have 5 more players at their disposal than their opponent who chose not to call up extra guys? Makes no sense. Elimination of the DH and/or Universal DH: i’m on record being pro Universal DH despite being in an NL town. But its a religious argument at this point so i’m more just for standardizing rules. 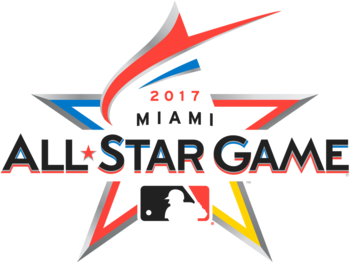 Revamp All-Star Game to be full of actual Stars: as in, eliminate the “one player per team” requirement and just put the best players on the team for this exhibition. Forcibly fix the MASN issue: The current situation is ridiculous, with a team that already got a sweetheart deal reneging on the terms of an agreement and fighting rulings more on technicality grounds and less on their merits. Enough is enough. I read somewhere a very interesting opinion that stated that MLB is just waiting out Peter Angelos, that when he dies they’ll make it a part of the transfer of the ball club to give up their MASN share. Makes sense and is the kind of dirty long-play thing that Bud Selig would have been in favor of. Eliminate TV markets/Anti Trust exemption: I think the time has come for teams to have the flexibility to move where they can be financially viable. This goes for Tampa and Oakland immediately, but possibly to other teams down the road. I may updated this post as more official details come out to offer more opinions, but so far I like all the changes that i’ve heard. What do you guys think? Qualifying Offers 2016; Will the Nats give up a pick for one of these guys? Of these 10 teams, I think its fair to say that only a couple of them are possible FA shoppers anyway. Twins, Reds, Padres, DBacks, Brewers all seem to still be in “re-boot” mode, the Braves and Phillies are probably in a “cautious shopping” mode, the Rays and A’s are in a “never spend money” mode, and the Angels are in a “we’re already spending way too much money” mode. So it’d be a huge surprise if a protected team even takes advantage of this FA crop. I can’t really see the first few teams giving up picks; maybe you have to get to Houston at #16 before you have a real big-market team looking to spend money. From about the Yankees on down, practically all these teams may be considering one of the 10 QO players and forfeiting their pick. There’s a couple of interesting players here, so here’s some commentary. 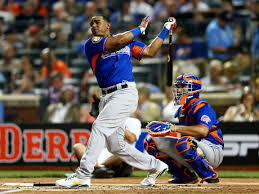 Yoenis Cespedes: opted out of two years and $43M to hit FA again; he’s the marquee hitter on the market and he’ll get a 9-figure deal. I think he’ll struggle to match $27.5M AAV, but that won’t bother him. Teams shouldn’t have any issues cashing in a 1st rounder for him. Linked to the Nats but not really; there’s just no way they can get him to fit into their payroll unless they drastically jack it up from 2016 levels. Dexter Fowler decides to roll the dice again; that may be a mistake, maybe not. If he gets 3yrs and $40M guaranteed he’ll be happy. Linked to the Nats; see below. Justin Turner came out of nowhere to earn a $17M offer; he’s only making $5M this year. Is he tempted to take the offer? Encarnacion and Bautista both seem likely to leave Toronto; I think the limits on their markets is less about the QO and more about their aging “old-man” skill sets. Neil Walker is coming off a back injury; but there’s also not a ton of depth in the 2B market for those teams looking. Still, $17M is a hefty improvement on his 2016 $10.5M salary. Jansen seems crazy to pass up this kind of money … except that there’s several big-market teams dying for a new closer (ours included). I don’t see the Nats forking over this cash, instead taking a cheaper option like Holland (assuming he can still throw). 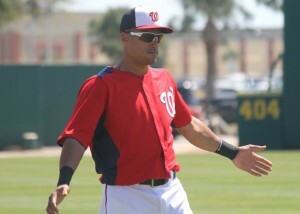 Desmond; poor Ian Desmond, saddled with the offer yet again. Maybe he takes it this year. I’m not really sure what has changed in terms of his market. Recently linked with Baltimore. Hellickson taking the QO just to screw Philly would be awesome … but he also knows that despite his mediocre career he’s one of the best 2-3 options this off-season. Trumbo; Only $9.15M this year; could he take the offer and double his pay? Probably no reason to; he likely just had his best career year and he’ll get the best contract offer he can right now. In the end; i don’t see an obvious QO taker. Last year 20 players got offered the QO and a number took it, finally calling the owner’s bluff. So many players that might have entertained offers didn’t get them this year, and of the above list only one or two possibly could take it if they were worried about their markets, but likely nobody takes it. From a Nats perspective; do any of these players move the needle for you, enough so to give up the #28 overall pick? We have definitely shown a proclivity towards cashing in that pick to acquire players. 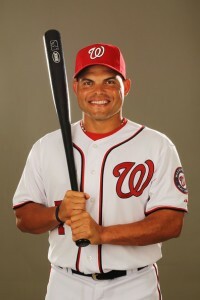 But of these 10 guys, who are really targets for the Nats? Turner: we don’t need a 3B. Desmond: can’t see a reunion, not for a guy who barely plays CF. Trumbo: this FO seems smart enough to see what Trumbo is (a homer-only DH). Encarnacion: similar to Trumbo in that he’s 1B/DH … and we already have someone at 1B. Jansen: Even though we need a closer, I can’t see this FO spending that much on a closer and think they’ll go a cheaper route. Cespedes; Cespedes is the #1 FA on the market and will probably get some ridiculous amount of money per season from a bigger market team; also priced out of the Nats budget. Would force Harper to CF AND would force Werth back to right, providing a pretty significant negative impact to the Nats outfield defense. Fowler; perhaps the one FA that makes sense for all factors (age, positional fit and quality). If the Nats signed him, it would immediately trigger many of the moves we’re all predicting (Turner back to short, non-tender of Revere, trade of Espinosa) and really improves the lineup. Fowler batted lead-off for the Cubs and posted nearly a .400 OPS; putting him 1-2 with Turner at the top would really galvanize the run production out of the big bats in the lineup. Imagine this lineup: Turner SS, Fowler CF, Harper RF, Rendon 3B, Murphy 2B, Werth LF, Zimmerman 1B, C, P. That’d go R-S-L-R-L-R-R for good balance with some serious OBP in the 1-2-3 slots for contact hitters like Rendon and Murphy to drive in. So. Will Fowler sign here? We have serious suitors for his talents (most are projecting him to St.Louis). We’ll see. But for me Fowler is worth giving up a pick.